You must make bookings at least 5 minutes in advance of the time at Pisqu. 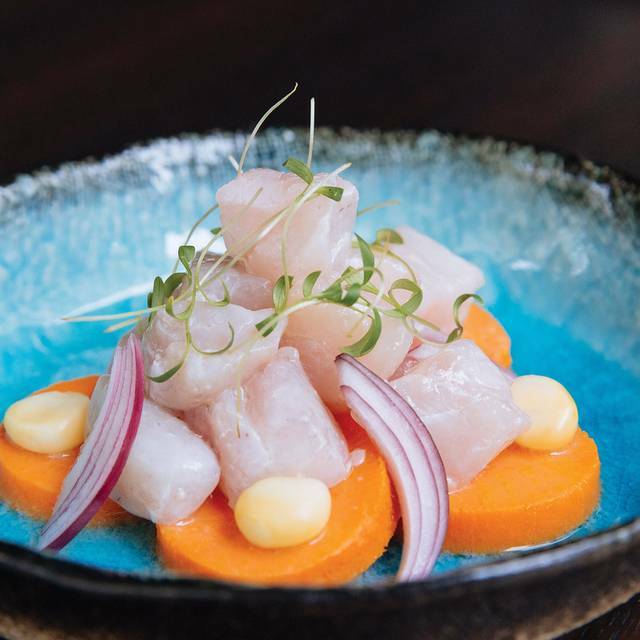 See Pisqu's website for Ceviche and Pisco Sour Master Classes. 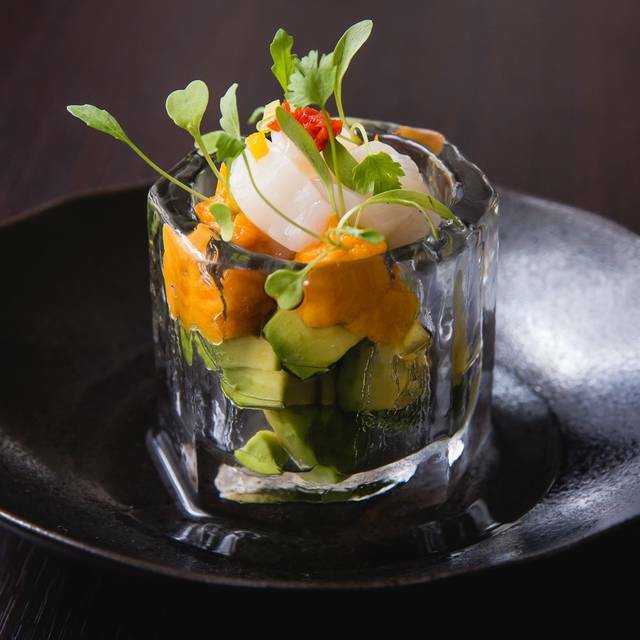 PISQU is a Peruvian Restaurant in the heart of London's buzzy West End and steps from Theatreland. 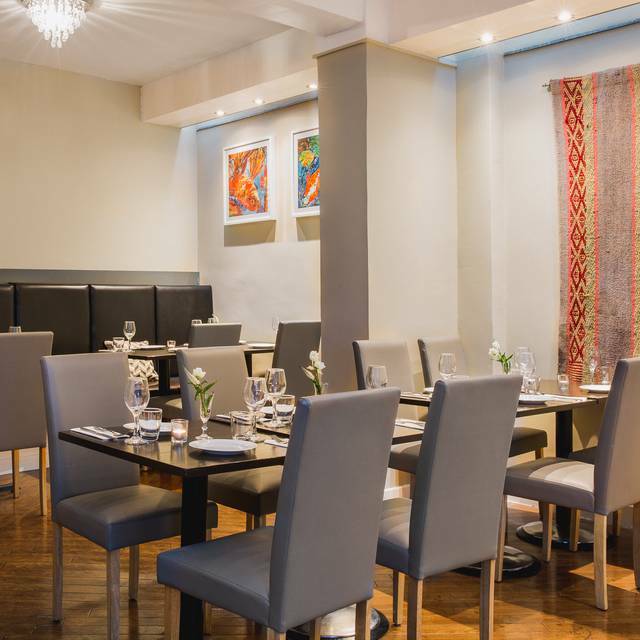 The contemporary yet relaxed two-floor space has been designed in royal Inca colours inviting guests for a gastronomic experience of Amazonian and Andean cuisine from head chef William Ortiz. 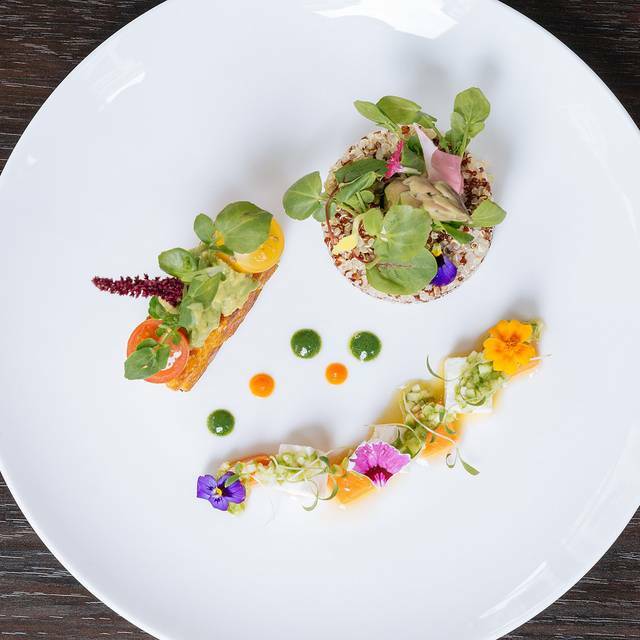 The menus focuses on the finest seasonal produce, healthy and natural superfoods showcasing mouth-watering flavours of modern day Lima. Specialties include grilled octopus with corncake, salmon Tiradito & ceviche and the Pisco Sour. Sit along an L-shaped ground floor where you can see through full-height windows trendy Fitzrovia. 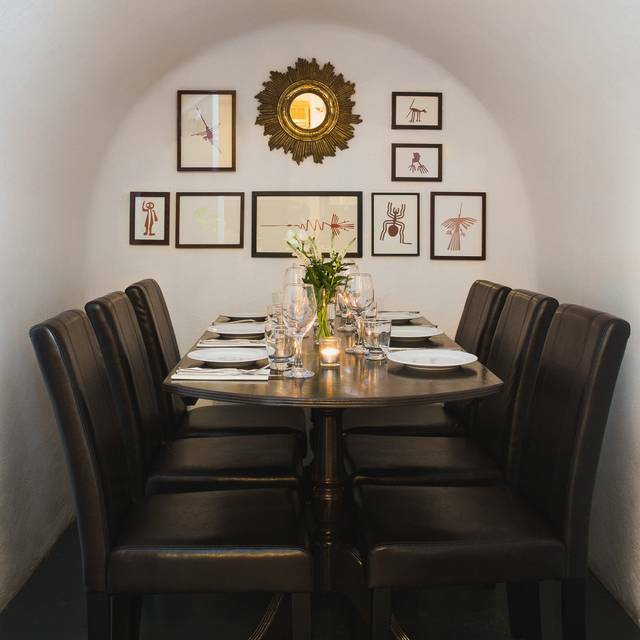 For a more intimate setting, head to their Lower Lounge where you can also find two Vaults for a more private dining experience. Nice and friendly staff, food was a bit below expectations, value for money fair but not great. The pisco sours were real, the food generally good, but the whole was rather expensive for what it is. but you feel the homely touch. You only know it is authentic if you have eaten in Peru and this place certainly is unlike other joints nearby. 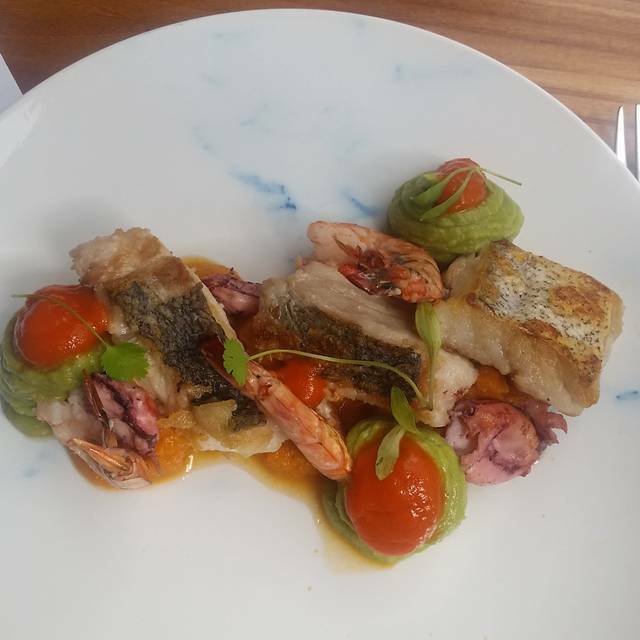 The dishes tried were extraordinary, especially the pisqu Pulpo octopus and corn cake. From start to finish Pisqu was full of flavours, great pisco cocktails too. Cannot wait to return. The most amazing staff, very friendly and helpful servers, really good pico sours, but unfortunately the food does not do peruvian justice. We had the pulpo as a starter and it was good, our mains lomo saltado and pollo were just ok. The service was absolutely terrible. I booked a table for lunch at 2pm to celebrate my friend's birthday. We were planning to have the three course set menu, which we told the server. Our orders for drinks weren't taken for 20mins after sitting down. Eventually they arrived, and then we were able to order the food about 2.30pm. The portions were small but the food was tasty. After finishing our main courses, we waited for the dessert menu, eventually asking for it. We ordered desserts. 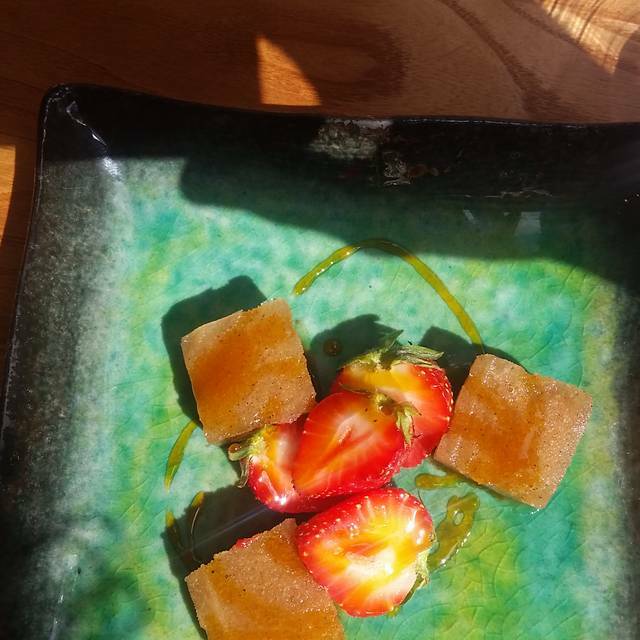 About 15mins after ordering the desserts, the waitress came back and said the kitchen was closed and they wouldn't be able to provide desserts. We asked for the bill... and waited, watching her clean the (now empty) restaurant. After a long wait, we asked for the bill again, and eventually went to another restaurant in the area for our dessert! A strange and not pleasing experience! I was embarrassed I had taken my friends there for a celebration. Very nice meal, really enjoyed the food. Next time I should try different traditional food to explore! Appalling. We booked a table for 4 several weeks ago. On arrival we were seated at a window table and served by an excellent young man. Within 10 minutes, the owner came to our table and told us we were being moved downstairs because there was a workshop on our floor. Downstairs was cold, soulless and no tables had been prepared. We left. If they are unable to cater for workshops and other diners at the same time they should not accept bookings for both on the same day. It was a disgrace. This was the first time my 2 friends and I had eaten Peruvian food and it was excellent. Our charismatic waiter was so helpful and explained all the dishes to us. We decided to try everything from the set pre-theatre menu to share between us! From the ceviche (who knew how delicious raw fish in tigers milk is?) to the Pisco Sours (try the Picante for a zing) it was an all round fab experience. Will definitely go again. We had a perfectly nice time, friendly service, nice food and great drinks. To start with the noise level was good but towards the end of our meal, 'music' was turned on which made conversation difficult. In a space as small as the upstairs restaurant this spoils things and is totally unnecessary. Never having had Peruvian food before, it was an interesting and enjoyable experience. Service very welcoming and friendly. Brilliant little place. Food was delicious and brilliant service. Pisco Sours were tasty too. Great food, and great service. 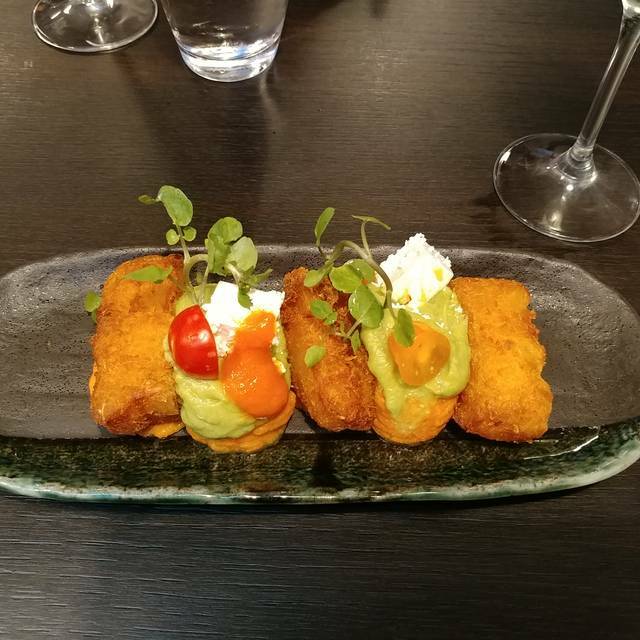 Delicious food - I would recommend the hot ceviche despite being quite uncertain prior to ordering! My dining companion and I enjoyed tasty food. We had a cocktail then beer. Slightly lacking in atmosphere. Nice staff, great food. Lovely location. We had a wonderful, friendly and knowledgable waiter, didn’t catch the name but he was Venezuelan, and really made the whole experience more elevated along with the fantastic food and ambience. Well deserving of our extra tip. We spend a really nice moment for dining. Food was excellent and fresh. A warm welcome with many explanations as we are French. And overall the best pisco sour I ever drink ! The service was a little slow, and we had to wait ages to get menus, but once up and running was great, our waitress was truly lovely and so friendly. The food is quite overpriced, but delicious. On arrival we were only given a la carte menu and had to ask for a set menu. Even though they advertised cocktails for £5, we were charged the full price. It took ages for the bill to arrive. The food was just average. Tables cramped together, bland and boring decor. Food was tasty, but we were the only people in there and service was terrible. 30 mins wait between ordering and (cold) starters and then another 30 mins from starter being cleared to main! Great pisco sour menu! We very much enjoyed the food and look forward to coming back. Friendly staff and nice environment. Excellent food. Good service but very poor ambiance. They try to fit 20 people in a place suited for 10. The vegetarian food was good and well presented. Slightly overpriced for what it is. Eating downstairs feels like eating in a basement. No atmosphere. Not sure I would recommend. Really nice authentic Peruvian food, presented beautifully, and extremely tasty. 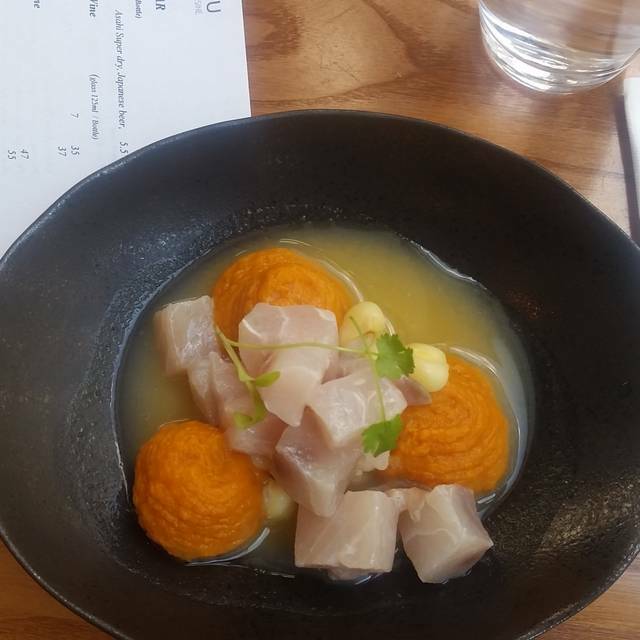 The Pre/Post Theatre Set menu is great value for £19 for two courses (or£22 for 3), the Sea Bass Ceviche starter was a highlight. Would definitely visit again! A very enjoyable evening -- especially as the waiter performed miracles in finding a quiet, secluded table for my friend and myself in the week before Christmas. Thank you! Really good tasty food. Friendly staff. Good service. I had a booked table and people came late and less than the booking. The manager/owner was really understanding offering really good service. I will definitely come back! Pisqu with some foodie and health eating friends worked well. The waiter identified what could be eaten by friend with health issues and generally was very accommodating. Not many tables on ground floor but many more in the basement and not sure if that would mean the noise level would be high. The food was interesting and the house wine very acceptable. Worth a visit. We have been to Pisqu several times all have been enjoyable and we would definitely recommend this restaurant to a friend. Everything was off: service (waiter incapable of opening a bottle with cork), wine, portion and food. All the food was tasteless. We ordered 3lomos 2medium and 1 medium rare everything came overdone. I ordered the pork belly. The smell was disgusting and the food inedible. It is pricey for nothing, for more than 20 the main you need to give a bit more than presentation. Just a tourist trap off Oxford Circus. Make a service to yourself and pass. Felt that the quality was lacking throughout. Wouldn't recommend as the price they are charging doesn't make sense. The staff seemed like very nice people but not attentive and constantly cleared tables making the place feel empty. The service was a little slow but the food was very good and made up for it. Enjoyable evening had by all in our party of 10.
the place was buzzing with pre Christmas catch-ups. The place needs a makeover. Downstairs is dated and upstairs is not much better. Bar manager was top guy and knew what he was doing. Food was actually quite decent and my pisco sour was on point. Just need to give the place a makeover, hire some good staff and it will be a hit.